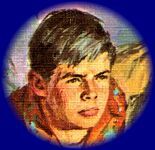 The Three Investigators (T3I) are Jupiter Jones, Pete Crenshaw, and Bob Andrews. 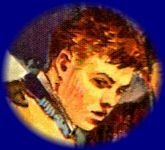 Introduced to us in The Secret of Terror Castle, the boys managed to solve more than their fair share of mysteries thanks to the creative abilities of authors like Robert Arthur, William Arden, Mary Carey, Nick West, and Marc Brandel. 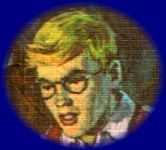 Many of us grew up reading the exploits of the Three Investigators and wished we had half the adventure that they seemed to experience on a daily basis. Of course, we knew it was all in fun, but at the same time it was a pleasant escape to stretch out with a T3I book and read one of their cases, particularly if it happened to be one that we had never read before. Part of the enjoyment of the T3I books was that the boys in the books were more than just props to solving a mystery. Robert Arthur designed the characters to be memorable to the readers, and he succeeded marvelously. Here then are brief biographies of the three boys gleaned from the volumes that have been written about their adventures. You can click on their pictures above or use the text links below.